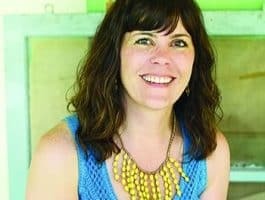 Author Kristen Welch doesn't know what it's like to be the perfect mom, but she does know what it's like to do the best she can for her family. Welch tells how she and her husband nipped their child's entitlement mentality in the bud after a fun family outing to the Houston Livestock Show and Rodeo. Kristen: He’s opening nine or ten gifts, and we have gifts for his family. The adults weren’t exchanging gifts; so, literally, I had nothing in my pile. He walks over—after everything is done—he walks over to the Christmas tree and pulls an ornament off the tree. Inside the ornament it’s a pearl necklace. I said, “Thank you,” and then I went to the bathroom and I cried—because it wasn’t enough. Bob: Come on!—a pearl necklace?! Kristen: I know; I know—and he probably shopped a great sale and used coupons—but I think I equated love and gifts with stuff—and a lot of stuff—not necessarily one meaningful gift. It was very immature, and I was very young. That was really—up until around the time of the boot story—my next door neighbor called me over to her house—this is maybe 15 years later—this has been growing in me—15 years later, my next door neighbor called me over to come show me her new wood floors. Bob: Can I tell you: “This never stops”? We had this conversation, this week, at our house. I keep thinking, as you’re describing this whole issue and how this—this isn’t just what you do with your kids—this is how you deal with it in your own soul. Bob: —the secret of being content is something we all have to learn. Dennis: Yes. I just want to ask you about the secret of being content. If you had one piece of advice—for a mom, dad, grandparent listening right now to our broadcast / it may be it’s a single person or a young married couple, who’s listening, who are struggling with this in their apartment, where they’re living—what is the best piece of advice you could give? Kristen: I think—I don’t know if you can narrow it down to one key; but for us—for my family—it’s been the word, “perspective.” We don’t have to teach our kids how to compare themselves to other people. We don’t have to teach ourselves how to compare ourselves—we do that naturally. We are very good at seeing what other people have and wanting what they have. It’s the tenth commandment—not to covet what our neighbor has. We are excellent at that, but what we’re not so great at is comparing ourselves to people with less. When we do that, we put ourselves in the middle—we can see: “Okay; this person has more, but this person has less.” And we find ourselves in the middle. Perspective is really the birthplace of gratitude, because it makes us thankful for what we have. My kids were serving with their church youth group. They were helping to rebuild a house in Texas from all the flooding that we just encountered. It was just perspective—I think that’s the key. We have to break out of our bubbles. I love my family / I love my kids—I try my best to be an intentional parent. I spent the first ten years doing everything I could to raise a godly family—but I didn’t do it very often outside of my four walls. I didn’t focus on others. I didn’t give my kids opportunities to see how other people live. I think I did them a disservice. For us, the key has been throwing open those doors, raising the windows, getting to know our neighbors and finding places to serve and to give to others. That has brought perspective like nothing else has. Dennis: When we were raising our six, I recall looking forward to the time when I could take some of the older children—it was the older three—with me and Barbara on a trip to a third-world country that had a lot of needs. There is something about going near the poor—meeting them / finding out they are real human beings, who are living right now, in conditions that we’re not used to seeing / we’re not used to experiencing. —from a great youth group that was doing a good job with them, but that trip—that encounter with people who didn’t have much—did a lot for them in providing what you’re talking about—that perspective. Bob: That’s been a part of your story as well; in fact, you talk about it in the book you’ve written called Raising Grateful Kids in an Entitled World. You’ve got a non-profit that is all about helping people in desperate circumstances in a third-world country. I’d just encourage our listeners—go to our website, FamilyLifeToday.com. 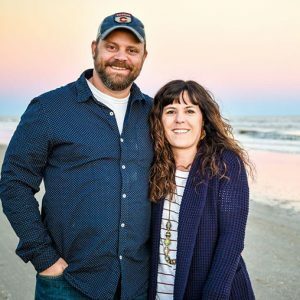 We’ve got a link—not only to Kristen’s blog, which is called We Are THAT Family—but we’ve also got a link to the non-profit that you guys give leadership to—you and your husband. Folks can find out more about the work that you’re doing in Kenya. Again, go to FamilyLifeToday.com and, while you’re there, get information on Kristen’s book, Raising Grateful Kids in an Entitled World. I think there’s a link between the issue of gratitude and the issue of generosity. I think entitled kids grow up to be more selfish, less generous, more “me” focused. I think grateful kids grow up with an open heart to a want to bless others. I think about that when I think about our listeners, Dennis—I think about the folks who support the ministry of FamilyLife Today. We have a lot of very generous listeners who, over the years, have said: “What FamilyLife Today is all about is important in our community. “It’s important for my wife and me” or “…my husband and me to listen to this program. It’s important for my friends and neighbors. It’s important to have this on the air in our community.” We’re grateful for those of you who support this ministry either with occasional donations or those of you who are regular, monthly Legacy Partners—very grateful for you guys as you provide the financial foundation that makes this daily radio program possible. During the month of February, we’d like to express our thanks when you make a donation by sending you a copy of Dennis and Barbara Rainey’s daily devotional guide called Moments with You. It’s our thank-you gift when you make a donation, online, at FamilyLifeToday.com—either a one-time donation or maybe your first donation as a new Legacy Partner. Find out more when you go to FamilyLifeToday.com and click the link that says, “Donate,”—or call 1-800-FL-TODAY to donate. You can also mail your donation to us at FamilyLife Today, PO Box 7111, Little Rock, AR; the zip code is 72223. Again, if you’d like the devotional book, please ask for it—it’s called Moments with You. Now, tomorrow, we want to talk about how moms and dads need to be, maybe, a little tougher on their kids than we tend to be. Toughen them up a little bit so that they don’t grow up with an entitlement mentality. Kristen Welch is going to be back with us. Hope you can be back here tomorrow as well. I want to thank our engineer today, Keith Lynch, along with our entire broadcast production team. On behalf of our host, Dennis Rainey, I'm Bob Lepine. We’ll see you next time for another edition of FamilyLife Today. I'm wild about sweet tea and I have a thing for globes and maps. I love color and words and my house has a lot of both. I’m parenting teens and a tween with my husband slash best friend of more than 20 years. I’m the founder of Mercy House and Fair Trade Friday and sometimes I write books. I love traveling and experiencing new cultures, trying new foods, and I’m a big fan of all things fair trade. I share my broken and beautiful story in my memoir, Rhinestone Jesus, and I share how it’s changed the way we parent in Raising Grateful Kids in an Entitled World. My life is messy and redeemed and I’m grateful for the chance to live it.I was nearly 30 years old when I became a mother. Just getting there proved to be challenging. 674 pregnancy tests later . . . it happened, I was ready. Or at least I thought I was. Since I was an excellent parent without having children, I figured it would all be a piece of cake.I periodically added to my mental list of things my children would never do. ( They would not eat their boogers, pick gum from under the table, wear house shoes to the mall, fix their own hair, scream in a store, throw a tantrum in public and . . . ) Obviously, I had never been around real children.I had all the ‘mom stuff.’ I quit my job and dedicated my time to staying at home. Once I got into the swing of all things baby, I tried to fill my long days.My struggle to be a mommy, was, well, a struggle. I was lonely.There were days where the only thing I accomplished was leaking milk. And that wasn’t even voluntary. As my baby grew and I grew another baby, I had desperate moments: being pooped and vomited on, in an airplane, without spare clothes. Watching in horror as my toddler’s temper tantrum stopped the world from spinning on it’s axis-in the library, where it is quiet. Managing to get thru Wal Mart, with a screaming, hiccupping child with toys clenched in each fist, just so I could feed my family. Lying to my children and convincing them that the overhead store speaker was telling them to SIT DOWN in the cart OR ELSE. Opening and consuming unpaid for food and leaving a messy trail for the store security to follow, occurred on a regular basis.Moving across the country to a tiny home with a toddler, a huge belly and no friends made things even worse. But in time I made ‘mommy’ friends. I watched them struggle and it did something in my heart. You know what I learned? They weren’t perfect. Sometimes they were even bad, like me. Their kids, were just like mine, perfectly human.And thru the years of diapering and disaster, I discovered the most amazing thing of all: I was really never alone. In the darkest moments, He never left my side: As I held my oldest child’s hand and looked into her pleading eyes for me to stop the IV from poking into her arm, He was there. When my son, fell from the loft of a hay barn and couldn’t walk, He was there. When my third child born too early, fought to breath through tiny tubes, He was there.I love reading other mother’s heroic stories of extreme circumstances and mundane living. They make me feel normal. It is comforting to identify my struggles with others.You may feel isolated. Tired. Alone. But there is a gigantic group of people who are just like you. They are called mothers. They know what it feels like to love a child more than life; feel their child’s pain; to move earth to be with their baby.There is also a HUGE God who is always there, especially when others aren’t.And that’s why I blog. That’s why I have to do it. I do it because laughter is easier to swallow than tears, and because sometimes we just need to be reminded that WE ARE NOT ALONE.Oh, and about that mental list, my kids have done it all!In 2010, a very unexpected yes changed my life, my family and our future forever. And this journey has become a place to say yes in the middle of my mess: the perfect place for his glory. I hope you’ll say yes to God with me.